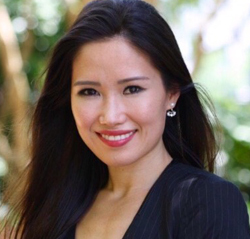 Nhu Bertolli is a board certified Physician Assistant with extensive experience in treating patients with orthopedic and chronic pain conditions. Since joining Alliance Spine and Pain Centers in 2014, Mrs. Bertolli’s goal has been to provide comprehensive pain management treatment to improve a patient’s quality of life. Mrs. Bertolli received her Master of Medical Science in Physician Assistant Studies from Medical College of Georgia in 2011. She received her Bachelor of Science in 2008 from the University of Georgia. Prior to joining Alliance, Mrs. Bertolli worked as a physician assistant in pain management and orthopedics. She is a member of the Georgia Association of Physician Assistants (GAPA) and American Academy of Physician Assistants (AAPA). In addition to English, Mrs. Bertolli is fluent in Cantonese (Chinese) and Vietnamese, and conversational in Portuguese.